The Mets will start Matt Harvey tonight against the Braves’ Bud Norris. The Mets have hit Norris at a .257/.382/.392 clip since 2009. The results have been mixed: though Neil Walker has smacked Norris around for .391/.517/.565 in 29 plate appearances, David Wright has hit .091/.333/.091 in 15. (Note, though, that those 15 include 3 walks and a hit by pitch, so Wright still manages to get on base regularly.) Lucas Duda is 1-3 (double) with a walk; Wilmer Flores and Kevin Plawecki are each 1-3. In 11 plate appearances, Yoenis Cespedes is hitting .300 with a home run and a walk against Norris. Cespedes has hit homers in the last two games and four of the last 6; the Cespedes/Walker combination is likely to be dangerous. Norris gave up 4 earned runs including 2 homers to the Marlins last weekend; it’s imperative the Mets are aggressive with him early on to knock him out of the game, as the 4-11 Braves had 5 blown saves in 8 save opportunities. Meanwhile, this game may be an opportunity for Harvey to get his season on track. 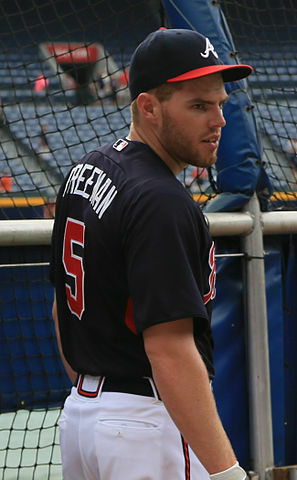 In 26 plate appearances, current Braves have hit .080/.115/.120 against Harvey; Jace Peterson and former Mets backup infielder Kelly Johnson are both 1-3 against Harvey, but Harvey has held Braves first baseman Freddie Freeman hitless in 6 plate appearances. Good defense is key, since Harvey seems to get rattled when things don’t quite go his way. The Mets were 5-5 in Turner Field last year, outscoring the Braves 43-36. Three of those wins came from starters and two from the bullpen. In six of those games, the Mets scored 4 or more runs, and they lost only one; providing Harvey with more than his current 3.33 runs per game of support will go a long way toward allowing Harvey to do what he does well. 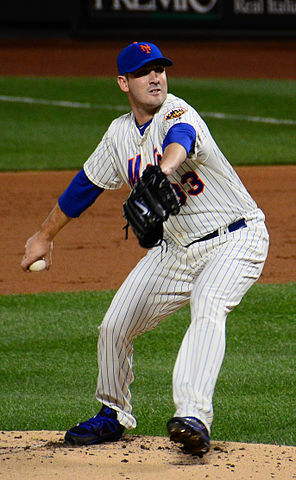 In last night’s 4-3 loss to the Royals, Matt Harvey consistently pitched better than Edinson Volquez. Volquez’ control wasn’t where he wanted it to be; it was clear he was laboring as early as the third or fourth inning. Harvey, meanwhile, was fairly stellar through 5. He gave up a single run in the first inning, one in the fourth, and then two in the sixth (one allowed by Bartolo Colon in relief). Matt Harvey shows a noticeable uptick in batting stats after the fifth inning. 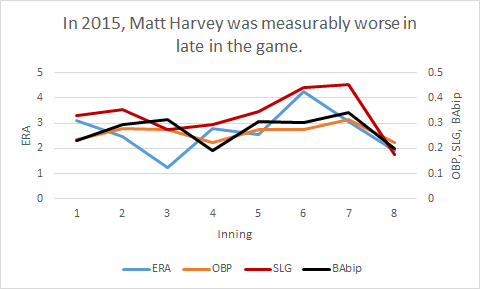 Harvey’s control was good – he walked Lorenzo Cain twice, but also struck out two. 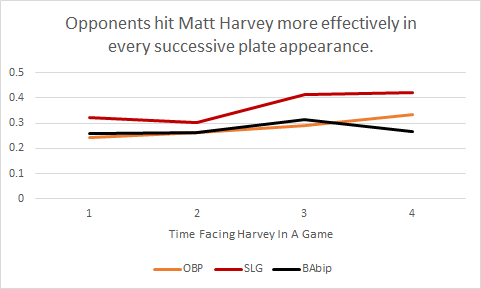 In 21 at-bats, Harvey allowed 8 hits, for a BAbip of about .380. His second and third innings were perfect; his fourth and sixth innings were plagued by smart, scrappy play from the Royals. When given any opportunity, Kansas City converted it. Harvey didn’t have a “bad” game. He was left out longer than he should have been for confidence-related reasons, and he got a little unlucky. So stop playing the Family Guy clip, stop making urine-related jokes, and support the team.